Enthral at the winter ball in the Whisper in the Wind tutu dress. 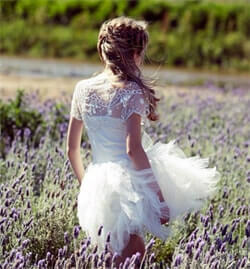 An abundant array of hand beaded and organza flowers fill the bodice. An elasticated waist sits above a classic long style skirt with petticoat layers for volume. 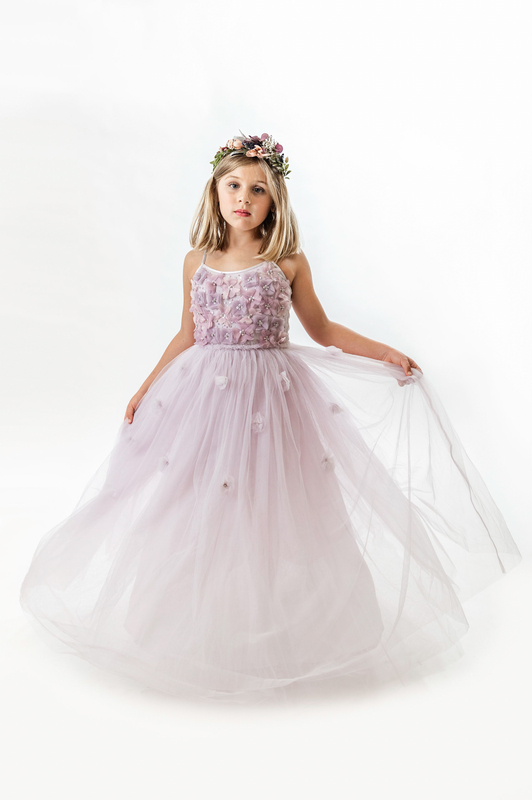 The dress features adjustable straps and pretty organza flowers scattered on top of the tulle skirt for extra magic.